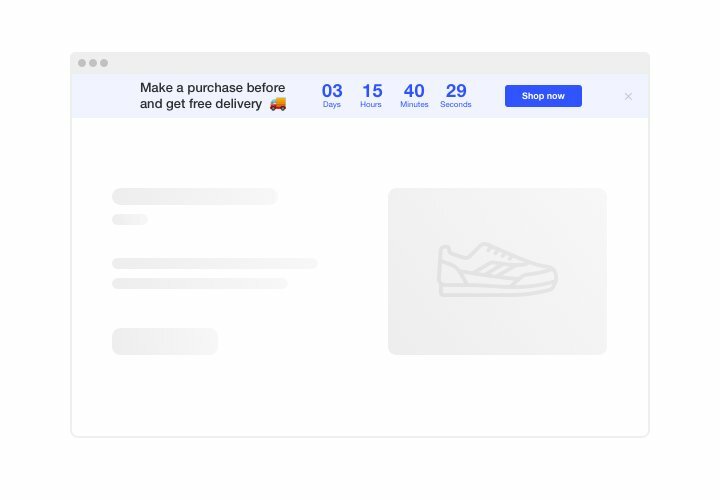 Set sales-promoting counts for your website with Elfsight Countdown Clock. Heat up the atmosphere and set a feeling of shortfall of your products, showing how quickly they are sold right before the visitors’ eyes. With time going down to the end of a special offer period, your visitors will feel urgency to buy. Attract attention to your future events or special occasions and keep customers eagerly waiting for the start. 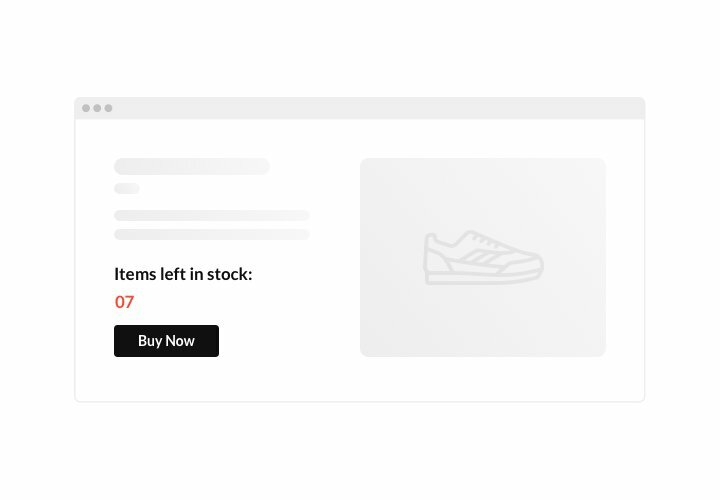 Create shopping fuss and push users to buy more. Stimulate shoppers to shop by evoking a sense of urgency. 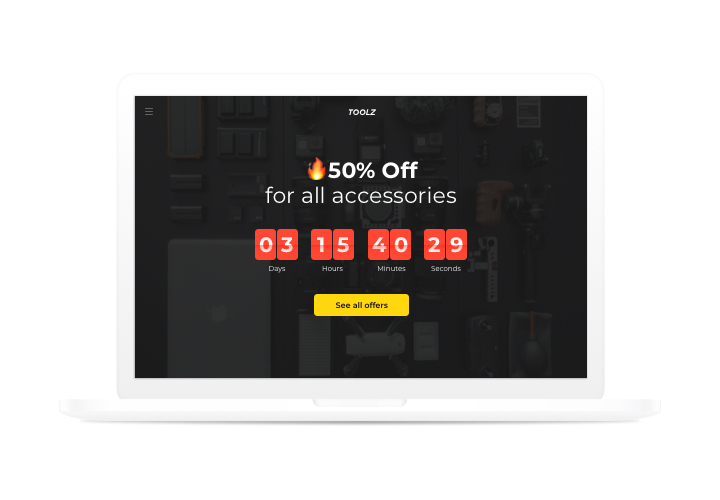 Embed countdown timers that will tick time left until the end of your sale period and special deals. 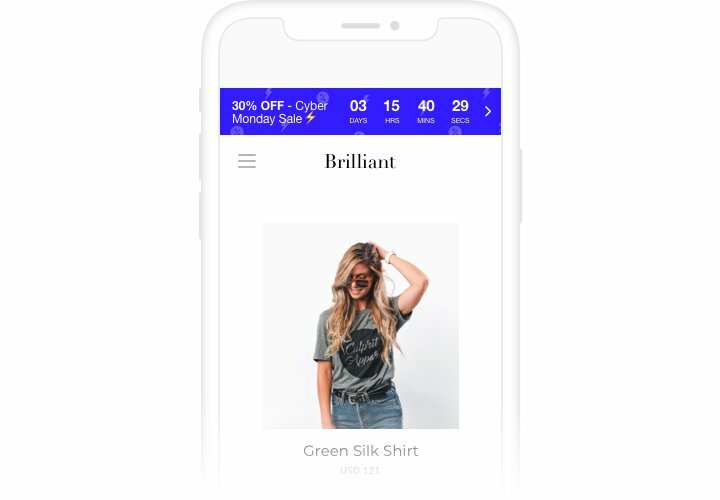 They will create a feeling of urgency and push people to make a shopping decision faster. Demonstrate the stock of items decreasing and elevate items’ perceived value. Evoke a sense of competition for your items by demonstrating that the level of sales is getting higher and the stock is getting lower. Product’s value will increase and customers will want to buy too. 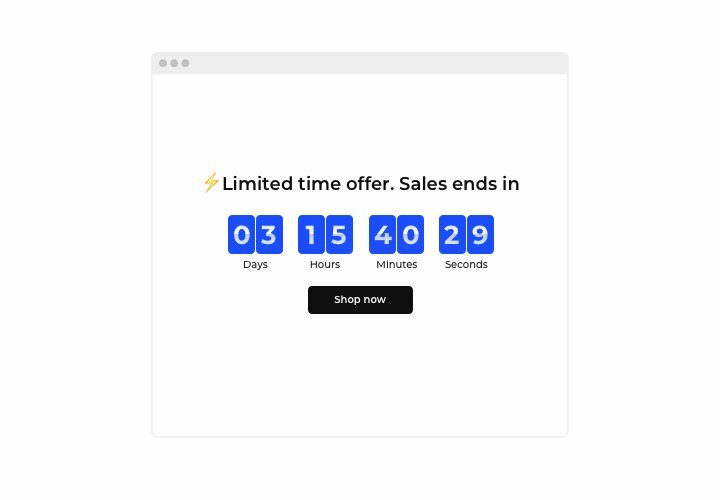 Attract more attention to your seasonal sale with a special holiday-style timer bar. 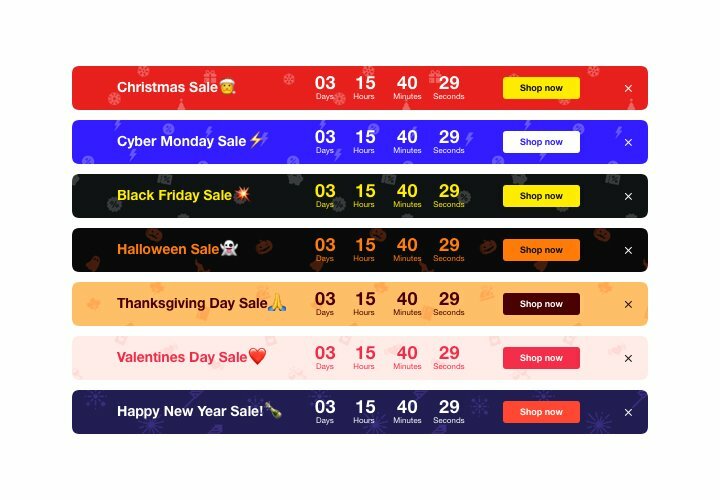 Eye-catching theme bars will help you promote special offers and sales. Get maximum from holiday time to uplift sales on your site. Read this concise manual to set up Countdown timer without competence in development or hiring a side web developer. You will need only several minutes to do it. Create your unique Countdown widget. By means of our free editor, generate a plugin with desired look and functions. Receive the code for setting up the plugin. After widget setting, obtain the code for Countdown plugin from the popup notification on Elfsight Apps. Embed the plugin to a desired place of the page and publish the changes. Go to your site, to see your plugin. If you need any help with creating or installing the plugin, our team will be here to advice and offer a solution! Configure a Webflow Countdown Timer in just 3 minutes!